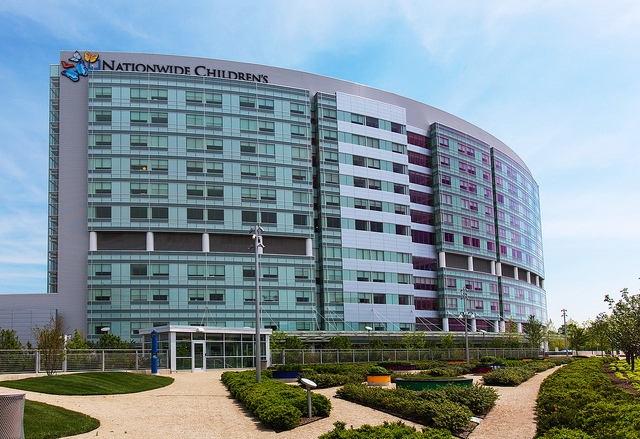 Photo courtesy of Nationwide Children’s Hospital. So, I’m officially signed up now for my first marathon, the Nationwide Children’s Hospital Columbus Marathon. October 19th, 2014. When I was considering signing up, I did some Googling and came across a quote attributed to Susan Sidoriak: “I dare you to train for a marathon, and not have it change your life.” That’s the type of quote that you come back to at 3:28 AM, or at least I did. My eyes popped open, and I was suddenly, fully, and completely awake. One of the really cool things about the Columbus Marathon is that the primary beneficiary is the Nationwide Children’s Hospital, a partnership that began just two years/marathons ago. Since then more that $2 Million has been raised for the hospital. That’s also the kind of thing you come back to at 3:28 AM. After signing up, I found out that they have these things called “Children’s Champions,” in short, a way for Columbus Marathon participants to help raise money for the hospital by collection donations. Yea, I’m doing that, too. So, here we go. 140 days left in the countdown, and I want to raise $1,000 for the Nationwide Children’s Hospital, and I need help doing it. If giving a donation is something that you can do, even if it’s just a couple bucks, it would be amazing. The link is right down there. I’m not sure it’s enough to just get the chance to change me; I want to try to help change someone else’s life, too. The donations go directly to the hospital, and they go there now, months before the actual marathon, to help those who need it.